(2009). There is No Mind-Body Problem in Parapsychology. In C. Roe, W. Kramer, & L. Coly, (Eds). Utrecht II: Charting the future of Parapsychology. New York: Parapsychology Foundation, 421-462; (2002). Two Cognitive DMILS Studies in Bali (with Luh Ketut Suryani, Niko Tiliopoulos, and Robert Morris), Journal of Parapsychology, 68, 289-321; (2002). Philosophy of Mind and Parapsychology. In Frontiers of Human Science, V. Gowari Rammohan, (Ed.). Jefferson, NC: McFarland, 30-45; and (1982). The Use of the Pendulum as an Automatism. In Research in Parapsychology 1981. Metuchen, NJ: Scarecrow Press, 193-95. Hoyt, who I see here and there in conventions, is retired from Rollins College, where he was the Hugh F. and Jeannette G. McKean Professor of Philosophy and an Associate Dean. In 1989 he was elected President of the Parapsychological Association. Cassadaga, the winter retreat for spiritualists, was only several miles away from Stetson University, where I went to college. I took a date there one time on a lark, and picked out a medium randomly by his sign on the street. We had readings, but the empty six pack of beer on the floor beside him did not seem to have helped him much. However, I kept hearing about a special medium, and during graduate school when my wife and I would come to Florida, we were finally able to set up an appointment with Anne Gehman after several attempts. I don’t need to go into detail, but the reading, which was more directed to my wife since I was trying to write down everything she said, was impressive in several details. One thing she said to me, however, was that she saw me doing experiments; given that I was studying philosophy, I just laughed at that assertion. I got a job at Rollins College, again not far from Cassadaga, and after my first class in the evening school, a student came up to me to talk. That student was Jo Marie Haight, who later studied parapsychology and made good contributions while she worked at FRNM (now the Rhine Research Center). At that time she was secretary to Anne Gehman, who had recently founded a spiritualist church in Orlando. My wife started taking a development class, and came home with some impressive stories. Meanwhile, I was preparing for our Winter Term, in which we were supposed to offer something unusual and especially attractive to students. Because of my love for William James, and knowing his interest in psychical research, I decided to offer a course on William James and Parapsychology, during which time I immersed myself in the experimental literature, and even did an experiment with several students on dream telepathy which had an unusual but impressive result. After that, several synchronous events occurred that drew me more deeply into parapsychology, which resulted in my collaboration with James Wheatley on an edited book in the philosophical implications of parapsychology, an invitation from the Parapsychology Foundation to a conference, and while directing a group of students attending college in Freiburg, Germany, being asked by Eberhard Bauer to contribute my first parapsychology article in the Zeitschrift für Parapsychologie und Grenzgebiete der Psychologie (Journal of Parapsychology and Border Areas of Psychology). So, my interest in parapsychology did not develop because of any psychic event that I had personally had (although the reading was impressive in some respects), but more because it spoke to the question I was interested in philosophically, the nature of the person. I’ve had a rather Janus–like existence in parapsychology. On the one hand, I have had a philosophical interest stemming from my life-long interest in investigating the nature of the person, and examining how parapsychological phenomena impact our understanding of the person–in terms of human nature, cognition, and knowledge. But because I was focusing on the experimental literature, I tried my hand on a number of experimental projects, sometimes with students who were taking courses in parapsychology that I occasionally taught. 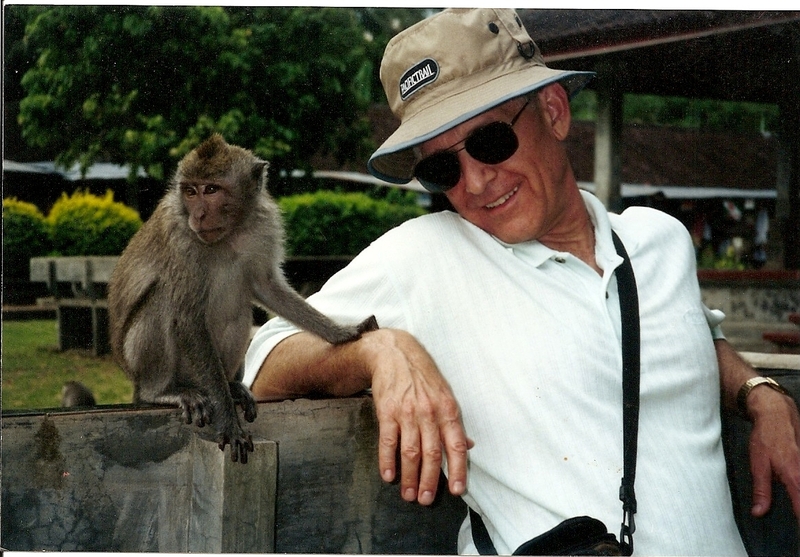 Because I turned my attention over the last decades to cross-cultural studies, as another perspective from which to study human nature, it came natural that I combined these two interests, and with the kind support of the Bial Foundation, I was able to carry out a set of significant cognitive DMILS experiments in Bali, Indonesia. I and my colleagues have published the results of the first two of these, and Stefan Schmidt has included all of them in a review article. So the first half of my career was dedicated more to elucidating the philosophical implications of parapsychology, while the second half was directed more experimentally. I’ve already indicated that I believe that parapsychology is terribly important for understanding the nature of the person. Further, I think that parapsychology offers an opportunity to ask almost any question that is philosophically interesting, whether it be the mind-body problem, the nature of causation, the nature of time, whether we have free will, what counts as knowledge, and even the metaphysical question of the nature of the physical world. The first problem, certainly, would be the prejudice against parapsychology, ruling it as so out of hand scientifically that one does not have to seriously examine the evidence. While this reason is inexcusable, I think that there is a more delicate and difficult reason. Because of the lack of a unifying theory (a paradigm, if you will), parapsychology might be viewed as more of a proto-science, in spite of employing excellent scientific methods. There are several reasons for this, including a paucity of research funding, and in turn a paucity of researchers. And because there are so many interesting questions in parapsychology, these few researchers tend to ask a variety of questions and often don’t develop a research program that might lead to firmer answers over time. That’s a criticism that certainly could be directed at me. I still hope, however, and fully expect that parapsychology will continue to make progress, and might accelerate the rate. Bob Morris’ contribution in putting the number of new parapsychologists into university systems in Great Britain and the US certainly bodes well for the future. I retired a year ago, and while I continued to serve as treasurer of the Parapsychological Association, I have turned my attention to more retirement kinds of things: traveling, reading novels, and gardening. I’m leaving it to the younger generation to continue the work; parapsychology is in good hands. A Constructive Postmodern Perspective on Self and Community: From Atomism to Holism, (Lewiston, NY: The Edwin Mellen Press, 1994). Foundations of Parapsychology, with Robert Morris, Joseph Rush and John Palmer (New York and London: Routledge & Kegan Paul, 1986). Philosophical Dimensions of Parapsychology, co-edited with James M. O. Wheatley (Springfield, Ill.: Charles Thomas, 1976). “Gibt Es Vorbegriffliche Beobachtungen? Kommentare zu Stefan Schmidt: Die Fliege des Aristoteles. Bemerkungen zur Anomalistik und eine Forschungsübersicht zum Zusammenhang zwischen Meditation und Psi, In Zeitschrift fuer Anomalistik, (Band 12, Nr. 2+3, 2012) 179-184. “There is No Mind-Body Problem in Parapsychology,” in Roe, C.A., Kramer, W. & Coly, L. (Eds) (2009). Utrecht II: Charting the future of Parapsychology. New York: Parapsychology Foundation, 421-462. “Two Cognitive DMILS Studies in Bali,” with Luh Ketut Suryani, Niko Tiliopoulos, and Robert Morris, in Journal of Parapsychology (Vol 68, No. 2, Fall, 2002), 289-321. “Philosophy of Mind and Parapsychology” in Frontiers of Human Science, V. Gowari Rammohan, ed. Jefferson, NC:McFarland & Company, 2002, 30-45. “Dualism and the Self: A Cross-cultural Perspective,” in Parapsychology, Philosophy, and the Mind, Fiona Steinkamp (ed), Jefferson, NC: McFarland & Company, Publishers, 2002, 33-56. “Extraordinary Claims in a Cross-Cultural Context,” in Proceedings of Aquem e Alem do Cerebro (Behind and Beyond the Brain). Porto, Portugal: Bial Foundation), 2000, 159-180. “Should Ganzfeld Research Continue to be Crucial in the Search for a Replicable Psi Effect? Part II. Edited Ganzfeld Debate,” with Gertrude Schmeidler, in The Journal of Parapsychology (Vol. 63, December 1999), 335-388. “Spirituality in the Natural and Social Worlds” in ReVision, (Vol. 18, No. 1, Summer 1995), 44-48; republished in Body, Mind and Spirit, Charles Tart, ed., (Char­lottes­ville, VA: Hampton Roads), 1997, 153-162. “Possession in Two Balinese Trance Ceremonies,” in Anthropology of Conscious­ness (Vol. 7, No. 4, December 1996), 1-8. “Koori Personhood: A Report on Work in Progress” in Australian Parapsy­chological Review (No. 18, 2/1991 & 3/1991). “The Medium as Healer and Clown: An Interpretation of Mediumship in Bali,” in The Journal of the American Society for Psychical Research (Vol 87, April 1993), 171-83. “The Relentless Dualist: John Beloff’s Contribution to Parapsychology,” in The Journal of Parapsychology (Vol. 55, June 1991), 209-19. Presidential Address to the Parapsychological Association: “Psi, Self and the New Mentalism,” in Research in Parapsychology 1989 (Metuchen, NJ: The Scarecrow Press. 1990), 125-59. “Concluding Remarks at the 1988 PF Conference: Psi Research Methodolo­gy,” Parapsychology Review (Vol 20, No 1, Jan.-Feb. 1989), 1-4. “Mind-Body Dualism in Parapsychology,” in Philosophers at Work: An Introduction to Issues and Practical Uses of Philosophy, Elliot Cohen, ed. (New York: Holt Rinehart, 1988), 372-84. “The Use of Physics in Answering Metaphysical Questions,” in Journal of Near-Death Studies (Vol. 6, No. 2, Winter 1987). “Parapsychology in the Land of the Canals,” in Parapsychology Review (Vol. 17, No. 3, May-June, 1986), 11-14. “The Dualist Tradition in Parapsychology” in European Journal of Parapsycholo­gy (Vol. 6, No. 1, November 1985), 81-93. “Parapsychology and Atomism” in Journal of the Society for Psychical Research(Vol. 53, December 1985), 78-86. “The Adequacy of Idealism for Model Building” in Psychoenergetic Systems (Vol. 6, December 1984). “Some Suggestions for Methodology Derived from an Activity Metaphysics” in Parapsychology and the Experimental Method (New York: Parapsychology Founda­tion, 1982). 43-64. “The Use of the Pendulum As an Automatism” in Research in Parapsychology 1981 (Metuchen, NJ: The Scarecrow Press 1982), 193-95. “Plant PK: A Failure to Replicate” in Research in Parapsychology 1981 Metuch­en, NJ: The Scarecrow Press 1982), 143-44. “Further Support for the Psi-Distributed Hypothesis” with Martin Farkash, in Research in Parapsychology 1981 (Metuchen, NJ: The Scarecrow Press 1981), 171-172. “Die Mangel der Kritik der ‘Rationalisten’ an der Parapsychologie,” in Der Wissenschaftler und das Irrational: (Zweiter Band), H. P. Duerr, ed. (Frankfurt am Main: Syndicat 1981), 307-333. “A Test of Runner’s Euphoria as a Psi-Conducive State,” with Wendell Wright, in Research in Parapsychology 1979 (Metuchen, NJ: The Scarecrow Press 1981), 157-158. “The Effect of Feedback and Awareness on a PK Task,” with Kevin Burke, in Research in Parapsychology 1979 (Metuchen, NJ: The Scarecrow Press, 1981), 158-159. “The Effect of the Laying On of Hands on an Enzyme: An Attempted Replica­tion,” in Research in Parapsychology 1979 (Metuchen, NJ: The Scarecrow Press, 1981), 137-139. “Correlations of ESP Success and Biorhythms,” in the Research Let­ter, Parapsychology Lab, University of Utrecht (No. 10, August 1980), 29-41. “Activity Metaphysics and the Survival Problem,” in Theta (Vol. 8, No. 3, Summer 1980), 5-8. “Survival and the Meaning of Life,” American Society for Psychical Research Newsletter, (Vol. IV, July 1978), 1-2. Reprinted in Exploring Parapsycholo­gy, by The Education Department, American Society for Psychical Research. “A Possible Case of the Displacement Effect in a Token Object Test,” with Alan Wright in The New England Journal of Parapsychology (Vol 1, March 1978), 28-34. “A Philosophical Justification for the Conformance Behavior Model” in the Journal of the American Society for Psychical Research (Vol. 72, July 1978), 215-231. “Plant PK and the Experimenter Effect,” in Research in Parapsychol­ogy,1977, Morris and Roll, eds. (Metuchen, NJ: The Scarecrow Press, 1978), 169-174. “Psi and Materialism in Santayana” read at the Bicentennial Symposium of Philosophy in October 1976 and published in the Proceedings as Philosophy in the Life of a Nation. “The Place of Paradigms in Parapsychology” read at the 28th Annual Interna­tional Conference of the Parapsychology Foundation, August 1976, in Parapsychology Review (Vol. 8, September-October 1977), 1-8, and in The Philosophy of Parapsychology, Shapin and Coly, eds. (New York: Parapsychology Founda­tion, 1977). “Rejoinder to Dr. Wheatley’s Note on ‘Do Spirits Matter'”: in The Journal of the American Society for Psychical Research (Vol. 70,October 1976), 293-301. “Do Spirits Matter: Survival and Disembodied Spirits” in The Journal of the American Society for Psychical Research (Vol. 70, July 1976), 293-301. “Paradigmata und Parapsychologie” in Zeitschrift fur Parapsychologie (16, 1974). Reprinted in Unter dem Pflaster Liegt der Strand (5), 93-110.